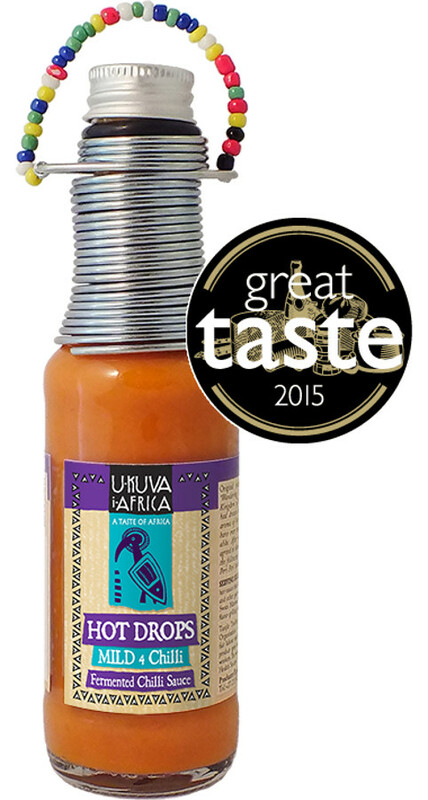 A mild fair trade hot sauce with a full bodied fermented red Serrano, Passion and Birds Eye chilli flavour – excellent on barbecue food, pizza and cheese salads. 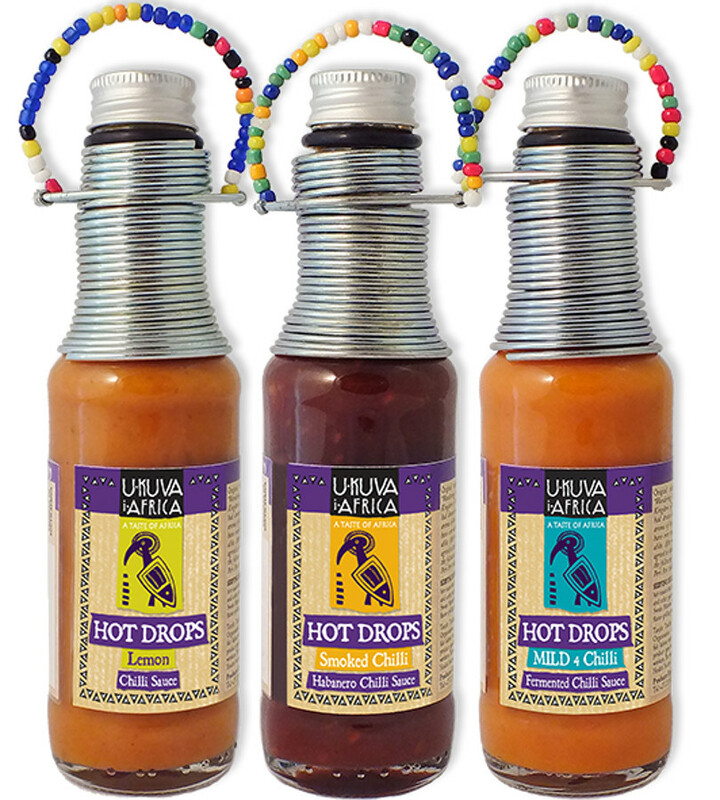 It comes in a bottle adorned with a wire neck decoration made by Cape Mental Health Society which provides work for the mentally handicapped around Cape Town. Vintage (50%) (chillies: serrano & passion chilli (48%), vinegar, salt), lemon juice, water, sunflower oil, fermented Serrano chilli (6%), fermented baby pepper chilli (6%), garlic, salt, Bird's eye chilli (0.3%), xanthan gum. After opening refrigerate and use within 4 weeks. Keep out of reach of children. 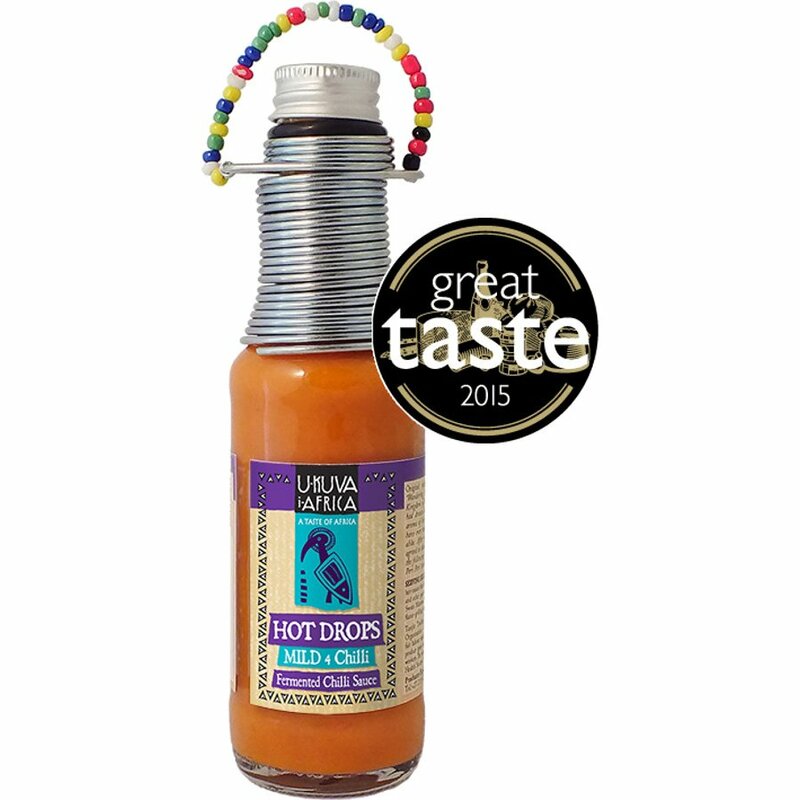 The U-KUVA iAFRICA Mild Chilli Hot Drops - 125ml product ethics are indicated below. To learn more about these product ethics and to see related products, follow the links below. 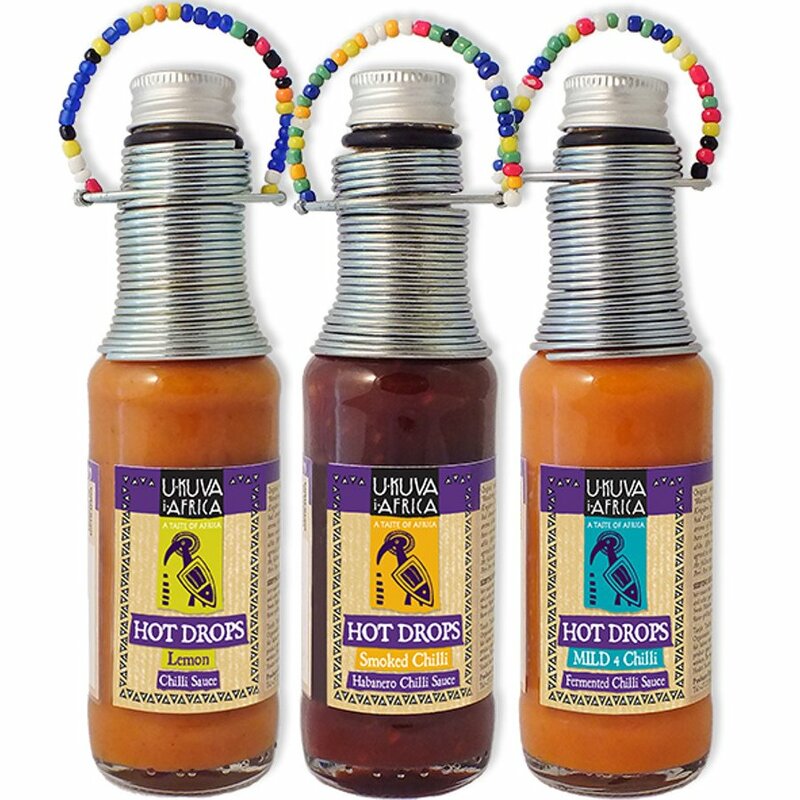 There are currently no questions to display about U-KUVA iAFRICA Mild Chilli Hot Drops - 125ml.